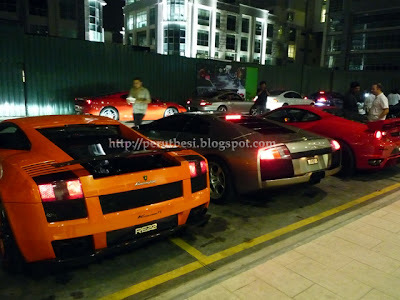 Great crowd of people & a row of vroom-vrooms! 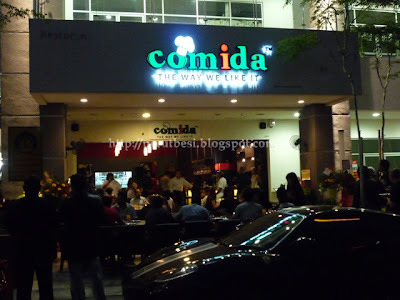 For something new, head to Comida & enjoy their specialties! Note: You'll find a map to Comida on their website. I can't give any ratings yet since I haven't really tried their food. Have a blast of celebration/party with your family & friends! Overall comment: This place is by far the ONE satay restaurant that never failed to satisfy me. The barbecued meat are juicy, generous, & very flavourful. Satay is pretty much a well-loved food by Malaysians from all walks of life, various races, & religion. It is actually marinated meat (with tumeric & various seasonings & spices) grilled on a skewer, served with slightly spicy peanut sauce, fresh cucumbers, & fresh red onions). 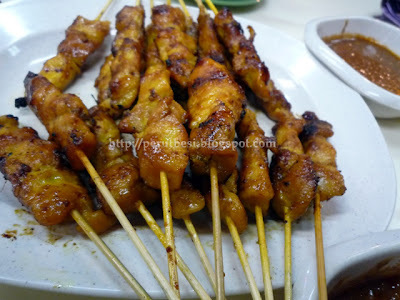 Satay is commonly found at Malay stalls/restaurants, but even the Chinese have their version of pork satay (alongside the usual chicken, beef, & mutton), which can be found at certain Chinese coffeeshops/restaurants in the country. 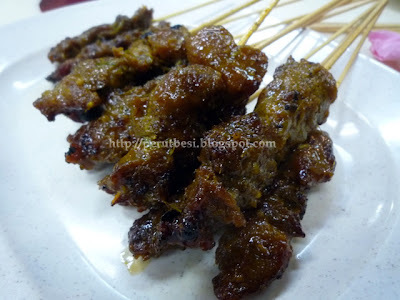 Kajang's satay is said to be the most famous in Malaysia, but as the years went by, I personally believe (and I think there are many others who will agree with me!) that Satay Zul should be crowned the King of Satays! I must say that the peanut sauce here is "oh-so-good"! 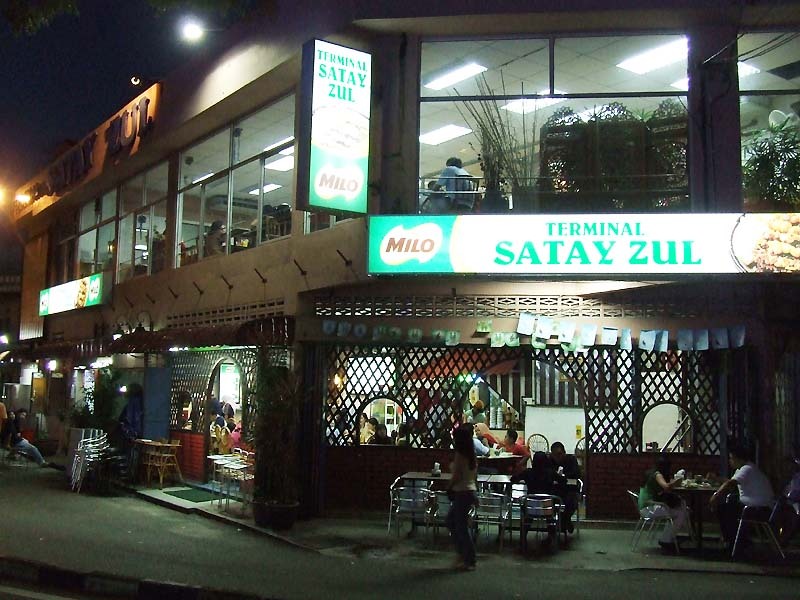 Terminal Satay Zul started way back in 1974; that's like THIRTY SIX YEARS now! From its humble beginnings selling satay on a motorcycle, the proud owner of this thriving business, fondly known as Pak Zul, has come a long 'til he registered his business under the name "Restoran Satay Zul" in 1994. He retired in the year 2000 & since then, the business was taken over by his son, Faidzullah. The restaurant was then given a new name, "Terminal Satay Zul", & is strategically located between 2 densely-populated residential areas, Seri Kuantan & Alor Akar. Anyone heading towards the famous Teluk Cempedak beach in Kuantan will never miss the sight of this busy restaurant along the Jalan Teluk Sisek. To date, Terminal Satay Zul has "mushroomed" yet another restaurant near the East Coast Shopping Mall in Kuantan! This restaurant offers an extensive range of satay: chicken, beef, mutton, liver, venison (deer), & "stomach" (called "perut" in Malay...I'm unsure what animal's stomach is served, but I'm assuming it's the cow's). 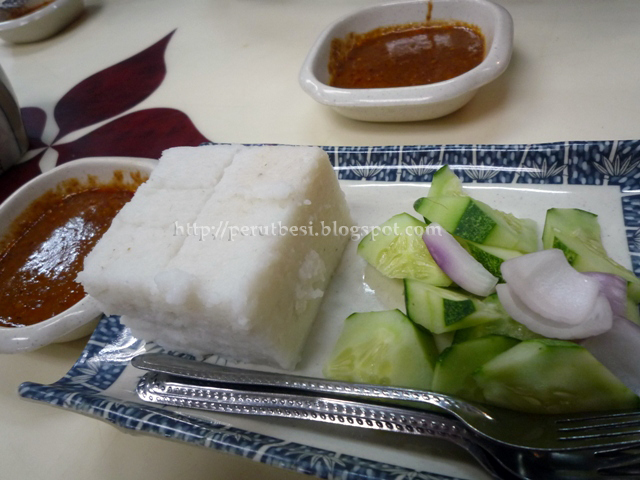 Apart from satay, one will also be able to indulge in their Nasi Lemak & Nasi Dagang. Anyone who loves the fragrantly barbecued meat skewers will certainly not be disappointed by the juicy & flavourful satay, commonly served with nasi impit (compacted rice), cucumber & onion slices. Not to forget is the thick, authentic spicy peanut sauce that gives the barbecued meat an extra "kick" & "umphh"! 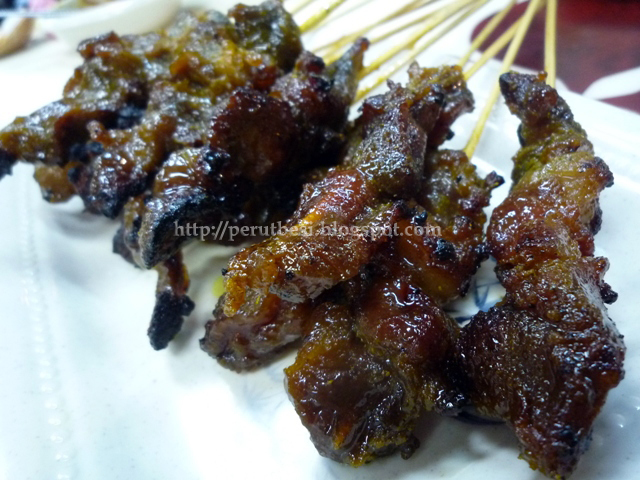 Without the peanut sauce, the barbecued meat won't really be "satay"! Their nasi impit is slightly softer than expected, but still very palatable. I can eat just the "compacted rice" with the peanut sauce! This restaurant will usually be packed with people almost EVERYDAY! It opens only for dinner 'til midnight, but it also offers catering services (satay, nasi lemak, & nasi dagang) upon request. 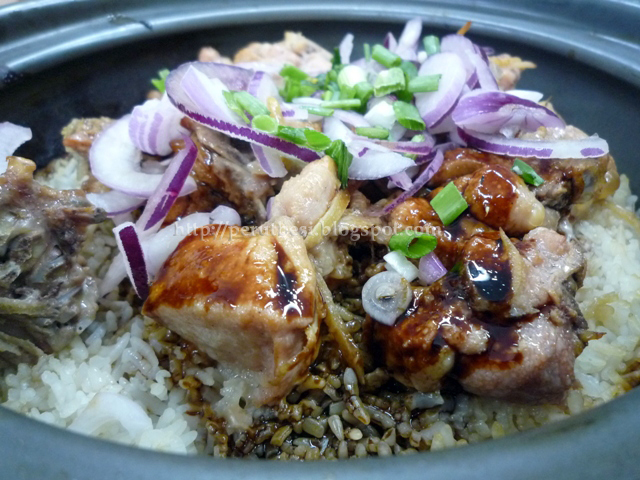 Overall comment: Interesting variety of claypot rice (not just the usual chicken!) at an affordable price. Gafan (add rice?) has been around for a rather long time. 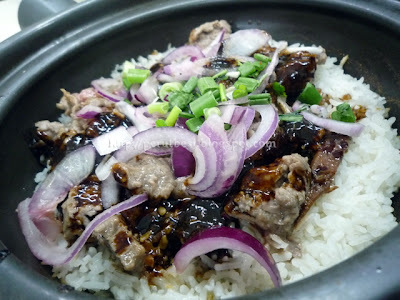 It's one of the more famous claypot rice places, yet I have never tried it 'til of late. 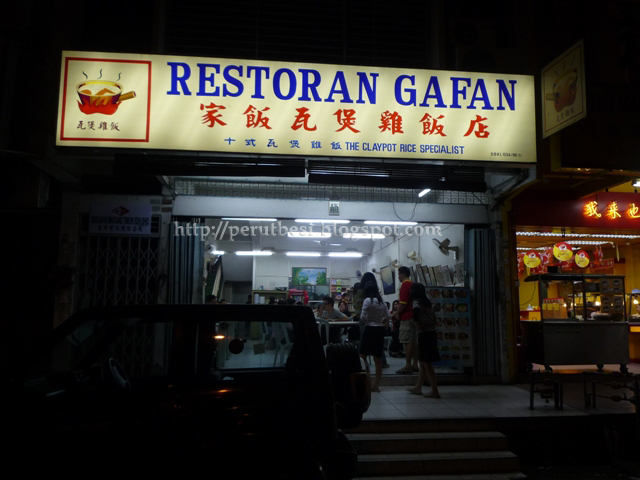 My friend, Mary, who lives nearby the Cheras Gafan outlet (there's apparently another outlet at Paramount Garden) was the one who suggested this restaurant for dinner. It's one of her family's favourite places for dinner & she was very pleased to introduce me to this place. Frankly speaking, I rarely go to Cheras unless I have anything important that I've to do or unless I've to meet up with friends who live in that area. Gafan @ Cheras has 10 different types of claypot rice (who says that only claypot chicken rice exists?)! A small claypot of rice ranges from RM7.00/pot - RM10.00/pot, while a large claypot of rice costs RM13.00/pot - RM19.00/pot, all depending on the main ingredients of the rice dish. I find this okay only. I remember digging into better salted fish chicken rice at PJ Old Town & Damansara Jaya. 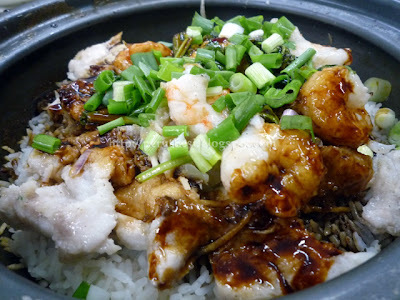 Somehow this rice dish isn't as fragrant & aromatic...but I have to say that the claypot here looks rather clean & new! Hahaha...maybe it's all in the pot. The other restaurants/roadside stalls have quite 'seasoned' claypots, which probably gives the "extra kick" to the rice dish! 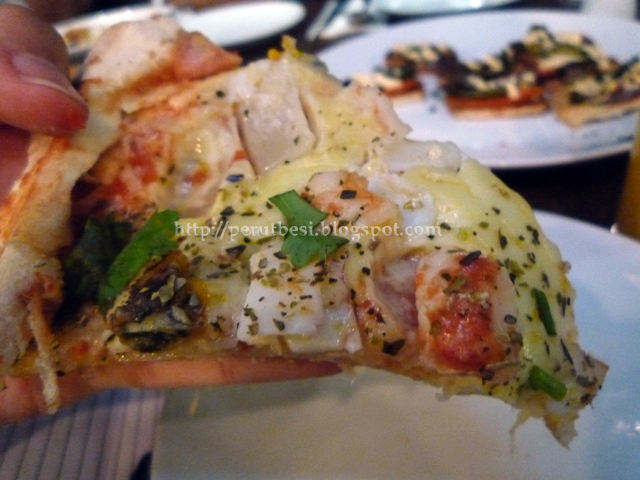 This was by far my favourite among the three that we ordered that evening. I enjoyed the pungent taste & smell of the black pepper, & I think the beef was tender & "juicy" too! 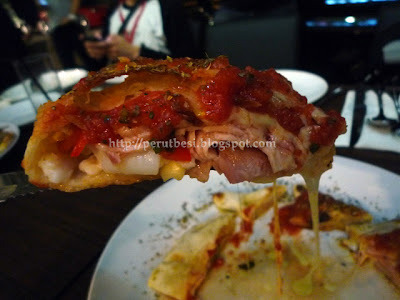 I was invited to a scrumptous meal at the Impiana KLCC Hotel recently for their Austrian spread. It was really delightful as I have never tried any Austrian food before :) The dinner was even more lovely with the company of Sharifah & Jihan, 2 wonderful MarComm personnel at Impiana KLCC Hotel, & not to forget, my new-found friend, Chef Helmut Lamberger! Chef Lamberger has been with Impiana KLCC Hotel for the past 3 months as the Executive Sous Chef. Prior to stepping foot into Impiana KLCC Hotel's kitchen, he was working with various hotels in Malaysia, including a hotel in Langkawi. 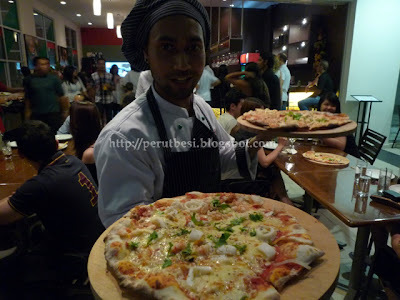 As an Austrian chef in Malaysia, he is proud to introduce some of his home-country's most popular & well-loved dishes. Among the many popular dishes are the apple strudels & the beef goulash! Note: Lunch is served from 12.30pm to 2.30pm daily while dinner is from 6.30pm to 10.30pm. Popularly eaten during the Crusaders’ time, this goulash soup was like a must-have to wake the men up from their hang-over. Since then, the goulash soup is a commonly drunk soup in Austria & is usually cooked with beef. This soup that I had was packed with herbs & I also thought that it was slightly too heavy on the salt. Nevertheless, it was pretty good as it was “kao” & the pungent aroma of the beef was just delicious :) The soup’s main ingredients were yellow onions, cooked until it dissolved, beef, potatoes, parsley, vinegar, tomato paste, & paprika, which gave the soup a slightly spicy taste. The soup is like a thicker version of our Malaysian “sup tulang”! The one thing that came to my mind when I had this dish was “Hey, isn’t this stew like the goulash, but it’s with chicken?” The ingredients pretty much the same, except that this chicken stew has sour cream, celery, & carrots. It's delicious when accompanied by Malaysian's all-time favourite RICE! 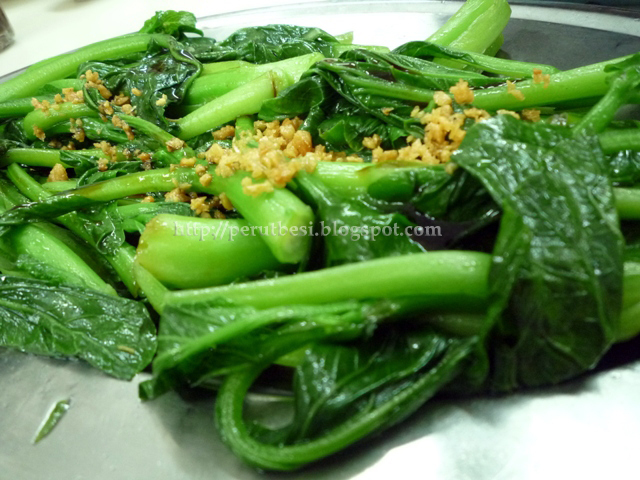 Being a typical Cantonese, my taste buds have gotten accustomed to flavourful dishes. This dish wasn’t on top of my “List of Favourites”. It’s quite bland (since it’s boiled), but one thing good is that you can savour the pure taste of the beef & the root vegetables i.e. carrots & radish. A thin pastry stuffed with mashed apples, nuts, & raisins. I find this a tad too sour & not very sweet. The apples were quite fine & "mashy", unlike the apple crumble cake, which I actually prefer (I like to chew on the chunks of apples! :P) This was nonetheless lovely...it's Austria's famous wei! This chocolate cake is a specialty cake from a hotel in Austria called Sacher. As written in the website Sacher.com, "The Original Sacher-Torte has been the most famous cake in the world since 1832 and the original recipe a well-kept secret of our hotel." Unlike the American moist chocolate cake, I find this chocolate cake to be slightly more crumbly & not as rich (although still quite rich with the dark chocolate "feel"). It was also quite sweet & felt like some "wake up call" for the Ruthless Eater! I'm not sure if the "real" Sacher Cake tastes alike, but this one's sure interesting! Apart from the four featured dessert as above, Chef Lamberger prepared three more Austrian desserts for his diners :) Awesome! 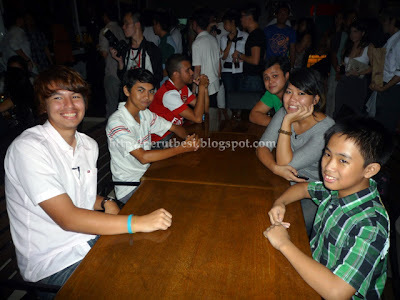 *p/s: Liza, you would have liked this! Ah, one of my favourite desserts for the evening. It's sweeter than the apple strudel, the apples were more chunky, & the cake was more "floury", unlike the apple strudel's pastry :) I like!